While most employers in California are aware they have a duty to accommodate the disabilities of qualified individuals, many struggle with the specifics of when an accommodation is required and how the accommodation process should work from a legal perspective. California recently enacted two new laws that have major impact on employers and their hiring strategies – Ban-the-Box and Salary History Ban. The majority of U.S. employees (61%) do not believe their employers’ well-being initiatives meet their needs. Concurrent Willis Towers Watson research finds a dramatic increase among employers seeking to differentiate their health and well-being programs for competitive advantage. It’s easy to think of total rewards as simply “pay and benefits,” but that’s a very limited view for today’s businesses. Why would an employer want to utilize a total rewards strategy? Download this free report and find out. Download this free report now. 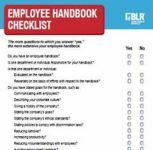 Use this checklist to evaluate your organization’s employee handbook. See how comprehensive your handbook is and perhaps, where it could be improved. Free for a limited time. An employee handbook is a bit like a home-cooked meal. On the surface, it fills a basic need, whether for sustenance or guidelines. But, with the right recipe, it can also bring people together and foster communication. 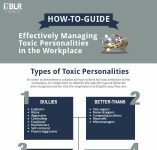 In this special report, we’re going to help you create the right handbook recipe for your workplace.